Meet Samantha, a domestic cat with loves, heartaches, and dreams of adventure. Presented with humor and a contemporary pop-culture style, playwright Kenny Finkle explores the soul of a typical household cat, revealing our own humanity in a different light. 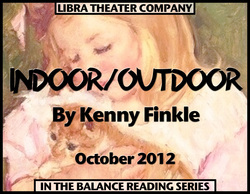 This event is presented by Libra Theater Company's In the Balance Reading Series.